The number of Caravelles have been dwindling very fast in recent years. This is the list of all Caravelles known to be still extant. Occasionally the list is more up to date than google earth. Below you can send us new coordinates. Preserved and will be displayed at Aeroscopia. In Sud Aviation / Air France colours. Awating the scrapper. Aircraft has been stripped of all useful parts. Used by the local airport fire department for non destructive training. Most of the interior has been stripped. 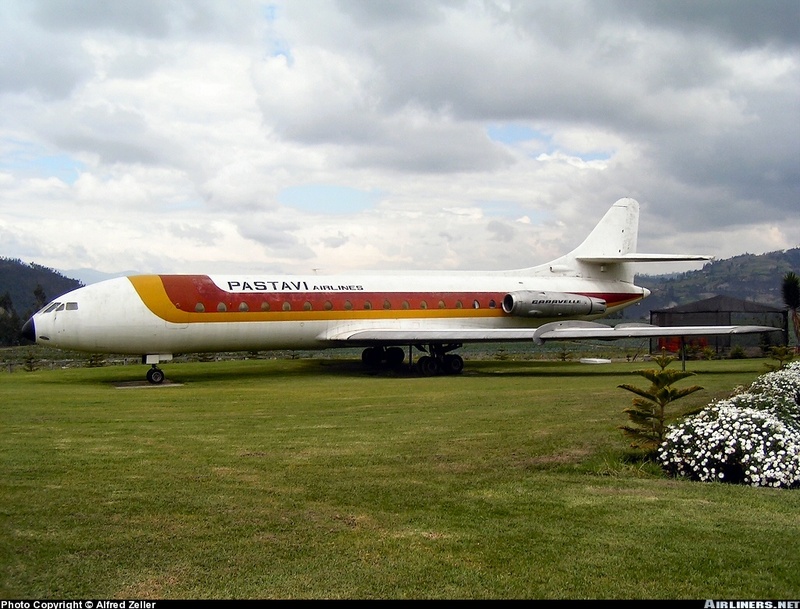 Preserved and kept in ground running condition by Le Caravelle Club - the best preserved Caravelle in the world! Stored outside but preserved by Swedish Air Force Museum. To be restored. Donated by Air France Technical School in Vilgenis to the museum. Nose section only. Stored at Dugny. NOT for sale. Preserved by Musée Européen de l'Aviation de Chasse. c/n 116. Last Caravelle III to fly in France. Withdrawn in FEB98. Stored at Arlanda Airport next to SE-DAI. Interior stripped of all seats but otherwise it retains its original 1974 status. Reapinted in all white in 2015 to remove all SAS markings. Impounded 23. August 1983. Now owned by the local flying club. In poor condition. Well preserved by Musées Royaux d'Art et d'Histoire, Brussels. Preserved L'Epopee de l'Industrie et de l'Aeronautique, Albert, France. Instructional Airframe at Institute Amaury de la Grange. SE-DAA used as a training object for the fire brigade and push back truck drivers. Converted to a cabin crew training aid by Novair. Nose section in extremely poor condition stored on private property in Joroinen, Finland. Moved from Vilgenis to Baarlo. Preserved by Piet Smedts. Aircraft is kept in very good condition and a hangar is planned to be build very soon. Part of a restaurant. Left wing cut off completely. Interior to be converted into an office by owner. Part of a furniture store. 4R RUFA. Left wing partially cut off. Cockpit and Cabin complete. Bought by a individual in 1990 from Quito airport and taken to "Pastavi Farm". Aircraft titles named after the farm. Iberia style colour scheme. Ex SAETA and now a private bar for the owner. c/n 146 ex I-DABV. View image. Converted into a Restaurant. Aircraft complete, horizontal stabilizer not original. Complete but in poor condition. Cockpit only. Stored. To be restored to former LTU colours. Forward section only. Purchased by an Air France Pilot to be displayed at his country house. Still in Aero Lloyd colours. Moved here in 2006 after the Mexican government sold them for scrap in 2004. Still alive but condition unknown. c/n 144 Caravelle III. Ecole Nationale Supérieure de l’Aéronautique et de l’Espace (ENSAE or SupAéro). Joined sections of two outboard wings. A plate indicates that the wing was built in Nov63, and it may be from № 193/F-ZACF. AIFTINDUSTRIE (Association Interprofessionnelle pour la Formation Technique), an engineering apprentice training school; forward fuselage only. Condition unknown. 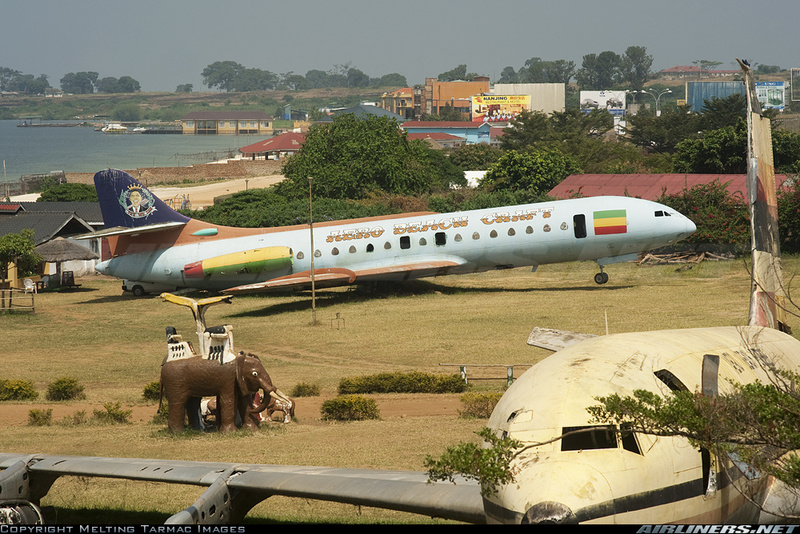 Wfu 10.88 with Corse Air but ferried to Franceville-M'Vengue in Gabon for instructional use by Centre Multinationale de Formation en Aviation Civile and seen there in 2004 with CMFAC titles, although this facility closed in 2001. Very poor condition. Former TUNIS AIR Type III has been in use for ground instruction c/n 178. The nose of HS-TGI (crashed at Hong Kong on 30Jun67) is with the CIVIL AVIATION TRAINING CENTRE (CATC). N901MW Port Columbus Airport Authority N901MW Caravelle Originally built for United Air Lines but purchased by Serviços Aéreos Cruzeiro do Sul PP-CJC. Used by the fire service but still owned by a museum.